Take Exit 3 (Route 273 West - Newark). Follow Route 273 for approximately 3.5 miles (past Avon and FMC). At the 9th traffic light, you will see a red "84 Lumber" sign on your right. Turn left at this light, onto Marrows Road (note: there is no street sign at this corner). Go 7/10 of a mile and turn right at the third stoplight onto White Chapel Drive. Go 1/10th of a mile and the Newark Senior Center will be on the right. 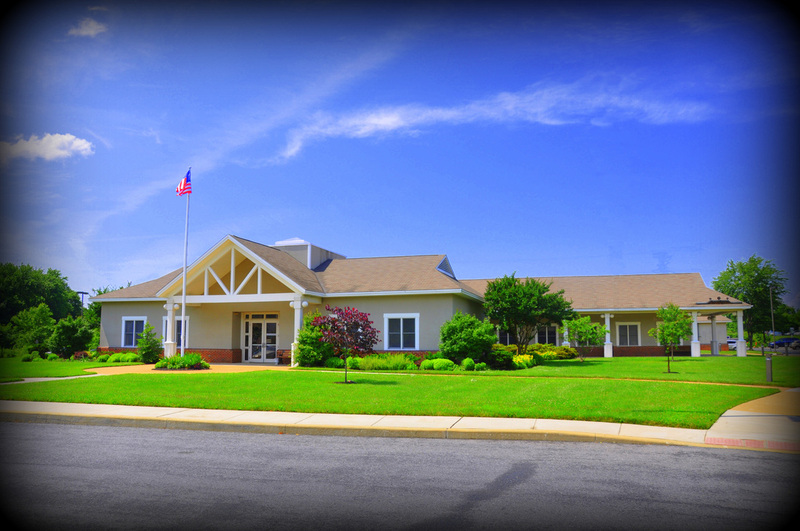 The Newark Senior Center is a tan stucco and brick building with white pillars; there is a sign out front. Take Exit 1 and follow signs for 896 North. Go 1 mile on 896 North to the 3rd traffic light (Route 4). Turn right onto Route 4 - East. Go 1.4 miles to the light at Marrows Road (there is a dairy queen on the corner) and turn left onto Marrows Road. Go 8/10 of a mile to the light at White Chapel Drive (see signs for "Gardens at White Chapel" and a green DelDot sign that says "Newark Senior Center"). Turn left onto White Chapel Drive. 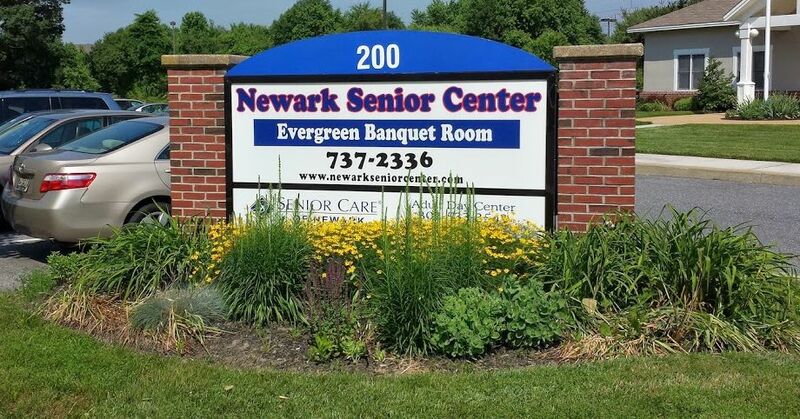 Click on the photo below to be directed to the Newark Senior Center website.